In the past year, an increasing number of students from business schools to engineering and medical colleges have signed up to intern with the country's biggest political parties as they work on their strategies and draft their manifestos. Typically, management students like to spend their summers interning with high-profile global financial consultants. But not Abhishek Padhye, a 25-year-old business management student at XLRI Jamshedpur. 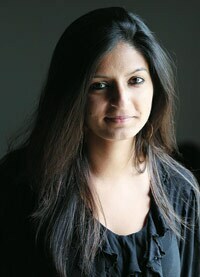 Padhye has opted for a summer internship with the Congress party in Delhi ahead of the general election this year. He already has a degree from the Indian Institute of Technology, Roorkee, and three years of corporate experience with Tata Steel in the bag. But he says he wanted something new: "You don't get to experience a general election often. Moreover, I want to be part of the policy-making process." It has hired 40-50 interns from universities to work in research and social media. Political internships are common in the West, but the concept has caught on only recently in India, especially in the run-up to the 2014 general election. In the past year, an increasing number of students from business schools to engineering and medical colleges have signed up to intern with the country's biggest political parties as they work on their strategies and draft their manifestos. Some digitallysavvy young interns are helping with social media planning as online campaigning gathers pace in the country. "These days we can see a new trend where lots of B-school students are showing interest in interning with political parties and government agencies. In the ongoing summer placement process at various B-schools, many students are choosing this option," says Sidharth Agarwal, Director, Spectrum Talent Management, a headhunting firm. It has selected 60-70 interns to work on electoral analysis, social media and carry out surveys. Most of the country's big political parties are hiring interns as they head for the polls this year. The Trinamool Congress will recruit two interns from the Indian Institute of Management Calcutta to help with communication strategies in the election. The Bharatiya Janata Party (BJP) has also hired 40 to 50 interns over the past two to three months, in addition to over a million volunteers, says Arvind Gupta, National Head, Information & Technology, BJP. "Our interns work in areas of research, content and social media. They are from all universities across India - a mixture of graduates and undergraduates - and a few from overseas colleges." Apart from interns, the BJP also has help from many members of a non-profit organisation called Citizens for Accountable Governance (CAG). Ashwini Anand Pillutla, a 29-year-old banker, has taken a break from his career to help set up CAG with 59 other founders. He worked with Barclays Capital and Merrill Lynch before starting his own venture, to help the BJP prime ministerial candidate Narendra Modi. a"We support Modi as a candidate and we are doing campaign work. We at CAG decided to support the BJP's prime ministerial candidate as we analysed the growth of Gujarat in terms of infrastructure, power and ports. In a democracy, you have to take sides and we went with the BJP," he says. The Aam Aadmi Party (AAP) may be the new kid on the block, but it has already clambered aboard the political intern bandwagon. The party has hired around 60 to 70 students from varied backgrounds such as medicine and engineering since December last year. "We hired 15 to 20 interns every 15 days and they worked with coordinators in the legal team, on electoral analysis, with social media, and conducted door-todoor surveys. They gave 20 hours a week for AAP, without any payment," says Nitin Singh, a software engineer and part of the AAP's Mumbai committee which handles social media for Maharashtra. Gaurav Gupta, an AAP volunteer from Delhi, says students from foreign universities intern for a longer period. It has a management student who will intern with the party to participate in policy-making. How does a political internship help a young person's career? Job consultants say it adds considerable value to a resume. "Political interns will be looked at more positively. A stint with a political party will only add value to a resume as it will show that the professional is motivated by the larger objective of the welfare of the country," says Rajiv Burman, Managing Partner at executive search firm Lighthouse Partners. Analysts say no corporate experience can match that gained from working on political campaigns and public engagement strategies. The exposure helps students during their final placements as campaigning provides valuable lessons in strategy, data analysis, financial planning and marketing strategy. "A finance student will get a practical understanding of fund-raising and spending, which is a crucial activity for every political party. Similarly, a marketing student gets ample opportunity to learn and contribute in the area of marketing and strategy," says Spectrum Talent Management's Agarwal. It will recruit two interns from IIM Calcutta to help with communication strategies. Some think-tanks also offer political fellowships that provide an opportunity to work for political parties. For instance, PRS Legislative Research offers the Legislative Assistants to Members of Parliament (LAMP) fellowship to create a platform for young Indians to engage with policy-making at the national level. The person works as a legislative assistant with a member of Parliament for 11 months from the beginning of the monsoon session to the end of the budget session. The LAMP fellow provides extensive research support through his/her parliamentary work during the fellowship period. The fellows get a stipend of Rs 18,000 a month. "From just 12 LAMP fellows for 2010/11, the programme was expanded to over 40 fellows each year. It has received over 1,000 applications this year," says S. Jayakumar, LAMP Coordinator at PRS Legislative Research. Saanya Gulati, Research and Outreach Manager, I for India, which generates performance report cards for elected representatives based on user ratings, says the LAMP fellowship has helped her a lot. It provides an opportunity for fresh graduates interested in politics to gain exposure in the field. "My current assignment enables me to leverage my experience at LAMP in terms of my understanding of challenges facing India's public sector. The LAMP fellowship gave me a unique opportunity to observe how a member of Parliament works," she says. Some universities also offer short-term programmes that enable young people to work closely with politicians. Haryana-based Ashoka University has a Young India Fellowship programme under which four students intern with political parties or political leaders every year. "As the founding batch of the Young India Fellowship programme, we were all set to find something offbeat for our eightmonth experiential learning module," says Kshitij Garg, a fellow from the founding 2011/12 programme. "The development office of MP Naveen Jindal and its work in Kurukshetra, Haryana, was an appealing opportunity."